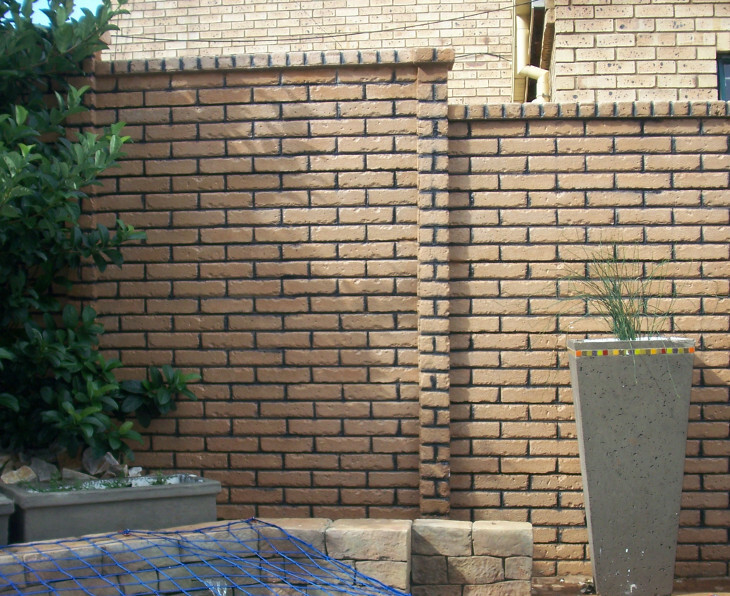 Brick Crete clinker is an exciting concept in concrete fencing, carefully designed researched to anesthetically blend in with almost any architectural design. A oxide is blended to achieve this unique clinker colour appeal. The unique texture and colour of these fences accentuates their beauty and the beauty surrounding them. They compliment and enhance the beauty of any home. This colonial look fence is crowned with an attractive capping and rail. Tan reflects the colour and characteristics of real brick while incorporating the durability of concrete. This Tan colour concrete fence has a traditional feel of quality and beauty and is able to match and compliment most existing brickwork.